One of the most inevitable things in life is the fact that we must all grow old. However, it is an open secret that some people age better than others. We often come across individuals in their sixties and seventies who appear to have found a way to defy or slow down the ageing process. This is often a result of specific and disciplined lifestyle choices which you can also adopt today. The following tips from the Research and Development Unit of Yudala, Nigeria’s fastest growing e-commerce outfit, will help you age better. 1.Exercise: Exercise has always been seen as one of the means to promote a healthy lifestyle. But that is not all. Regular exercise has also been identified as one of the major reasons why some people not only live longer but also thrive in later life. 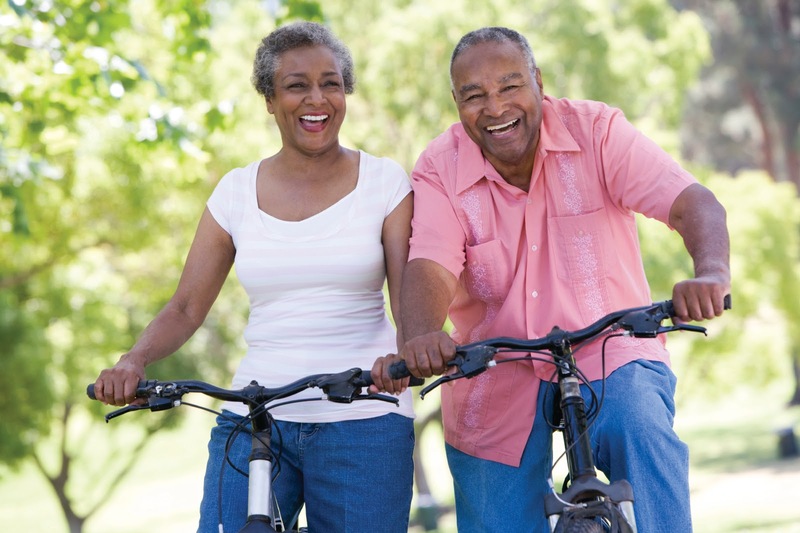 Indeed, you can slow down the aging process with as little as 15 minutes a day of moderate physical activity. According to research from Harvard Health, while you can't completely stop aging, staying active can slow down the destructive processes that lead to disease and immobility, which diminish your quality of life. In other words, regular exercise may be able to offset disease-causing cellular damage and slow the ageing process. 2.Keep the brain active: In addition to physical activity, keeping your brain active can go a long way to slow down mental decline often associated with ageing. Various studies show that engaging in mentally-stimulating activities on a regular basis can slow or even reverse the age-related mental deterioration. Examples of some simple mentally engaging activities you can try your hands are include eating your food with the other hand, listening to an unfamiliar kind of music, learning to play a new musical instrument, sport, skill or dance pattern; researching an unfamiliar subject, playing the crossword puzzle in a newspaper, adding new words to your vocabulary, counting backwards from one million, etc. The interesting bit is that it is never too late to start these activities as older adults and septuagenarians too have been known to show some remarkable improvements upon adoption of these habits. 3.Get some sunshine: Due to upgrades in social status, many adults often go for days on end without soaking up some sunshine. It is common these days for many to move from air-conditioned homes into air-conditioned vehicles and to air-conditioned offices, with the cycle repeated at close of work for weeks. Despite the comfort such a lifestyle seemingly holds, there are detrimental effects which worsen the process of ageing. Apart from helping maintain the immune system, Vitamin D regulates cellular growth, promotes calcium absorption and helps the body fight cancer, diabetes and bone diseases – ailments that show up more often as one gets older. While the medically recommended daily dose of Vitamin D can be admittedly sourced from a number of foods including eggs and fatty fish, among others; spending a few minutes in the sun especially in the hours before 10am can do a lot of good. According to the World Health Organization, getting anywhere from 5 to 15 minutes of sunlight on your arms, hands, and face two to three times a week is enough to enjoy the vitamin D-boosting benefits of sun. Adding a little sunshine to your life by getting outside more can relieve anxiety and reduce depression, thereby helping you cope better with ageing. 4.Watch your diet (and the quantity): Diet and nutrition are important factors which determine how well your body ages. Latest studies indicate that a low-glycemic diet high in fresh fruits and vegetables, whole grains and lean protein is best suited to this purpose. Furthermore, research from Harvard Medical School identify the Mediterranean diet: a modern nutritional recommendation based on the dietary patterns of Greece, Southern Italy, France and Spain in the 1940s and 1950s as a good choice. The principal aspects of this diet include proportionally high consumption of olive oil, legumes, unrefined cereals, fruits, and vegetables, moderate to high consumption of fish, moderate consumption of dairy products (mostly as cheese and yogurt), moderate wine consumption, low consumption of non-fish meat products and cutting back on salt. In addition to helping the body age better, research indicates that Omega-3 fatty acids-rich foods including flaxseed oil, fish oil, chia seeds, walnuts, fish roe (eggs), fatty fish, seafood, soybeans, and spinach produce essential oils which makes the skin look younger. Closely related to the foregoing, it is important to cut down on overeating as this has been linked to various ailments which ultimately lead to a shorter life span. 5.Build and maintain social relationships: Social relationships have a direct link to helping individuals live and age better. Several studies have established that people who build and maintain stronger personal relationships live longer than those with poor relationships. According to a study published in a medical journal PLos Medicine, persons with strong social ties were shown to have a 50 percent higher chance of living longer than those with poor or insufficient relationships. In addition, the Harvard Ageing Study indicates that close relationships have a greater impact on quality of life than money, fame, Intelligence Quotient or social class. The study also shows that relationships have the capacity to delay mental and physical decline in addition to being strong predictors of long and happy lives. One more reason for you to start working on your social relationships today: individuals with poor relationships often suffer from chronic health conditions such as depression, insomnia, dementia, cardiovascular disease and diminished immune response, among others. 6.Get enough sleep: The benefits of proper, restful sleep cannot be over-emphasized. Research shows that during sleep, your body releases a growth hormone that helps restore collagen and elastin, the essential building blocks of young, healthy skin. Owing to the daily hassles of making ends meet in our increasingly fast-paced society, many often treat sleep as a luxury. If you fall into this category, then you are robbing your body of a very important regenerative factor which helps slow down the wear and tear associated with ageing. Apart from adversely affecting the brain’s functions and speeding up the ageing process, studies show that insufficient sleep also predisposes you to a higher risk of heart disease, obesity and diabetes. To enjoy the benefits of sleep and its direct impact in helping you age better, it is advised that sleep should span seven to nine hours each night. Furthermore, short naps of up to 15 minutes in the course of the day can help improve memory and aid the body recover from the effects of a poor night’s sleep. 7.Stay positive: A positive attitude goes a long way in serving as an anti-ageing factor. Individuals with a positive outlook on life and what the future holds have been known to cope better with the inevitable onset of ageing, thereby prolonging their longevity. This optimism also helps significantly when health problems set in, with a positive-minded outlook often making the difference between life and death for such individuals. Considerable research has also shown how optimism and a positive outlook affects overall health and longevity. According to Harvard Health, an optimistic outlook early in life can predict better health and a lower rate of death during follow-up periods of 15 to 40 years. Measuring optimism You are what you think you are when it comes to aging. Seniors who think of age as a means to wisdom and overall satisfaction are more than 40 percent more likely to recover from a disability than those who see aging as synonymous with helplessness or uselessness, according to The Journal of the American Medical Association.